PlayAmo is a Bitcoin casino that is actually founded and run by experienced gamblers. The primary mission of the casino is to understand player needs and create solutions based on them. And who knows better what players are looking for than those with vast hands-on experience. While PlayAmo’s experience helped them build a powerful platform, our review team used their expertise and knowledge to evaluate it. By being in the business for many years, the founders of PlayAmo have shaped the concept of what online Bitcoin casinos should offer to provide complete gambling experience. In this PlayAmo casino review, we’ll see what’s the result when players switch sides and create their own gambling platform. Speaking of the games that PlayAmo casino offers, there are several important things to remember. First, the game collection of PlayAmo includes a wide range of slot, blackjack, roulette, and a variety of live dealer games. Second, all games come from the leading providers in the industry like NetEnt, Evolution, and Betsoft, just to name a few. Last but not least, the games you can enjoy on this casino are all provably fair. PlayAmo has promotions no gambler can resist. Following are the currently active bonuses and promotions. 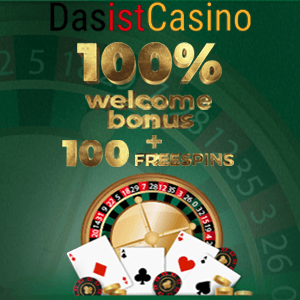 First deposit bonus – After you create an account on their site, you will get to claim a generous first deposit bonus offer of up to $100 and 100 free spins. This promotion will double your first deposit, plus you’ll receive 100 free spins for the Lucky Lady’s Clover slot over the next five days. The maximum amount you can deposit is $100, and you will have to use PlayAmo casino bonus code “FIRSTDEP” to claim it. Second deposit bonus – For your second deposit, with the code “SECONDDEP” you’ll get a 50% match bonus up to $200. Keep in mind that there are wagering requirements for using these bonuses. So, make sure you understand their terms and conditions. High Roller Bonus – This offer includes 50% match bonus up to $2,000. To claim this bonus, you will have to deposit a minimum of $1,000 and use the code “HIGHROLLER”. Friday Reload – This promo gives 50% bonus up to $100 + 100 free spins for the Lucky Lady’s Clover slot. Simply, follow the instructions on the site to claim this bonus, and you will have a ton of fun playing this exciting game. Just an FYI, you will receive your free spins over two days in two 50-spins batches. Monday Free Spins – Monday doesn’t have to be the hardest day of the week. Now, you can start every week with 100 free spins for slots Jack and Beanstalk or Evolution. Finally, at the time of writing this PlayAmo review, there weren’t active PlayAmo no deposit bonus codes. Similarly, while they offer plenty free spins, we would like to see some Playamo free chips as well. After all, there are no promotions for their live casino section right now. Truth be told, at first glance the Playamo website looks a bit cluttered, which might be a little confusing, especially for the new gamblers. This is mainly because of the mix of several colors in high resolution. However, this doesn’t affect the performance of the games. Everything is well arranged, which makes the site easy to navigate. Even the PlayAmo casino login process is streamlined, and you will just have to type your email address to create an account. Also, the site is optimized for the best game performance on desktop and mobile. There is a bunch of payment methods you can choose from. You can make deposits and withdrawals using both bitcoins and fiat currencies. Almost all transactions have nearly instant processing time, but some take around 12 hours. Finally, the customer support is available via live chat and email. The company that owns and runs this online casino is established and registered under the laws of Curacao. Not only are the games made by trusted software providers, but they are also provably fair. Moreover, the transactions that you perform on this system are secured with the SSL encryption. All of these and many other features add to the top-notch security of PlayAmo’s impressive platform. 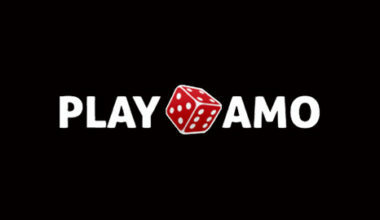 PlayAmo is an online casino that offers a massive selection of provably fair games, fantastic bonuses, and promotions. Furthermore, their platform supports various currencies and payment methods, the transactions and user data are protected with the SSL encryption, and their customer support is available 24/7; it doesn’t get much better than this. Given the facts in our PlayAmo casino review, we conclude that you shouldn’t hesitate to make your first deposit and start exploring its numerous possibilities.